Arsenal get “Mullered” (The Mirror) and work “Nein to 5” (Sun) – papers reacting to the Gunners’ 5-1 thrashing against Bayern Munich. But what about those points, the scores out of 10 dished out to the teams? 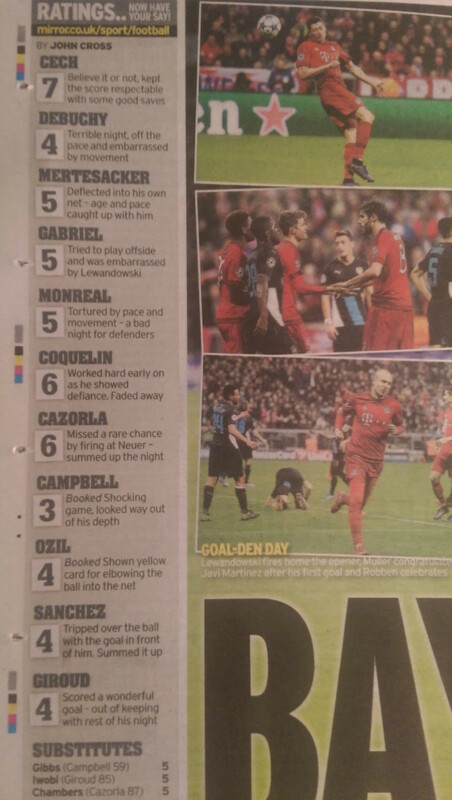 The Mirror’s John Cross is right: Joel Campbell was dire, an Arsenal player nicking a living in the shirt. But was Giroud that bad? The Mail is more generous. Campbell gets a score of 5.5. This means he was better than Cazorla (he wasn’t) and on a part with Monreal, the overworked, exposed left back. 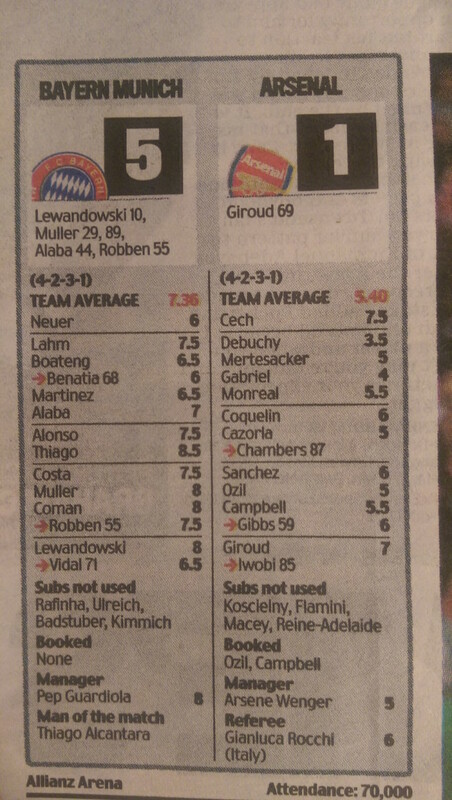 Only Giroud and Cech come out with any credit, both collecting scores that would have got them into the Bayern side.